﻿ Vincent and Flavia's Official Website. Welcome to Vincent and Flavia website! 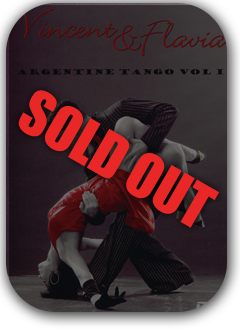 Vincent and Flavia have become one of the country's most successful Ballroom, Latin American and Argentine Tango performers and choreographers. After competing successfully together for many years, they gained a strong following after joining BBC's Strictly Come Dancing. For the past five years they have wowed their audiences with three shows of their own which have received Olivier Award nominations for family entertainment. They have not only starred in but also co-choreograph each production, Midnight Tango, Dance 'til Dawn, and The Last Tango. Their professional titles include: UK Professional Ten Dance champions 2002-2006; UK Professional Show Dance champions 2003-2006; UK Argentine Tango champions 2006 (first time the competition has ever been held); World Argentine Tango Show champions 2005/2006; UK Ballroom champions for several years; World and European Ten Dance and Show Dance finalists 2002-2006. 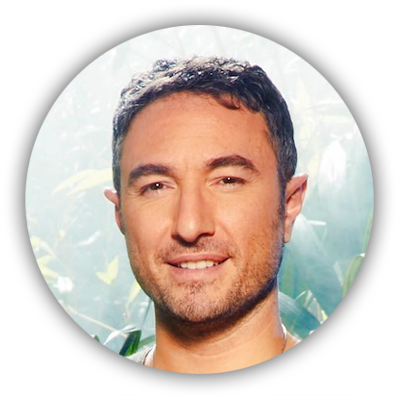 2006 saw them move away from competitions and from the fourth series onwards, into recurring roles on BBC's Strictly Come Dancing. In 2008 and 2009, Vincent and Flavia took part in the Strictly Come Dancing live tour and, at the beginning of 2010, they took part in Strictly Come Dancing - the Professionals UK tour. In 2012, Vincent reached the finals of Strictly Come Dancing performing with Dani Harmer, whilst Flavia and Louis Smith won the series and took home the much-prized glitter ball. Vincent and Flavia are available for Corporate Events until August 2017. They offer a cabaret of mind blowing show dances. Between the dances, Vincent entertains over a microphone while Flavia changes her costume. However they are very flexible, they will include Question and Answer sessions, Meet and Greet, and they can offer Workshops and Audience Participation. They are willing to discuss many other possibilities with event organisers to provide a memorable highlight for their event. If you are interested in adding a few sequins to your event, please check the available dates on our Diary. Autographed photos will be avialable again after January 15th (2017). On occasions Vincent and Flavia will offer private tuition or group classes but we will keep you posted as and when these become available. Check out the contact page and sign up to our newsletter to make sure you are up to date. Its been several weeks since my last blog, time has flown by and I just haven’t had the time to sit down and collect my thoughts. since my last blog we have been to the beautiful Inverness and were blessed with the most amazing weather for the first few days, it was a busy week as we had a Tuesday start but still performed 8 shows. I was due to fly on the Tuesday morning from Gatwick and was shocked when at 5pm on Sunday i received an email from BA letting me know my flight was cancelled and no other suitable flights available till the Wednesday which obviously was no good to me. So after i stopped panicking as to how i was going to get to Inverness i found a flight from Luton which meant an overnight stay at the airport on the Monday night so i’d avoid the traffic in the morning. Luckily all went smoothly and i successfully arrived in Inverness. our next stop was the busy city of Dublin, I tried to book a hotel as near to the Bord Gais Energy theatre some time before, however due to a big conference being held there that week everything was booked up so i ended up staying in the city centre a 15/20min walk away. Dublin city is so busy and lively, great shopping and so many places to visit, I was delighted when i realised right next door to where i was staying there was a fantastic Italian deli/cafe/restaurant. Food was not going to be an issue for me this week..
next stop Aberdeen and unfortunately the weather was not on our side and i think the same applied for the rest of the UK.. it rained all week long !!! However we had some fab audiences as always which made up for it. Aberdeen definitely wins the award for having the biggest poster of ‘The Last Tango’ displayed in the city centre, it was a little bit of a shock as i turned the corner and saw myself and Vincent 4 times our size, quite mad!! Its a little unexplainable how it feels to have just 3 weeks left on tour, Blackpool, Stoke/Oxford and finally Southampton, last week i did a little bit of research and totalled up how many shows Vincent and I have actually performed since we stated touring our own theatre shows in 2011. It's quite an incredible number and I just feel so privileged to have been able to have such an incredible opportunity. I will disclose numbers in what will be my next an final touring blog. School of Dance transports Vincent and Flavia into your living room. With their guidance you can learn the steps to your favourite dances at your own pace. Whether you’re a fully-fledged starlet or just finding your feet, School of Dance will ensure you never feel out of place on the dance floor. Learn the steps wherever you are! 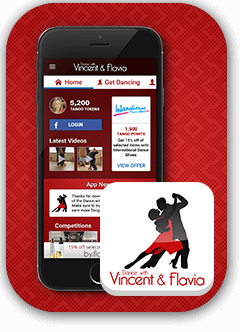 Dance with Vincent and Flavia is a FREE dance tutorial App. 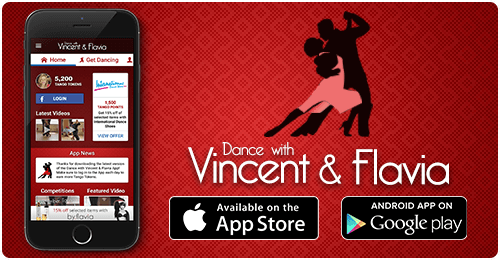 From the Salsa to the Foxtrot, choose your favourite dance and let Vincent and Flavia teach you all the steps. With slow-motion videos, you really won’t miss a beat. What’s more, gain discounts on dancewear so you’ll feel and look the part. Available on both Android and iOS. 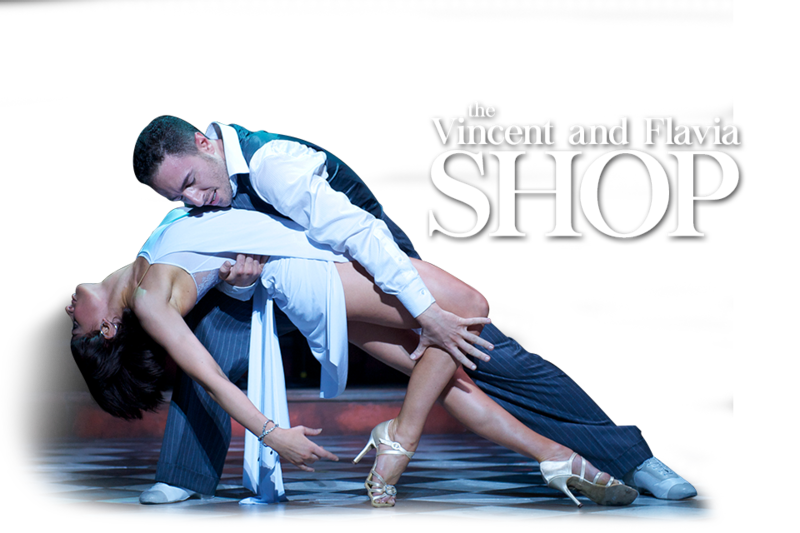 Taking you through Vincent and Flavia’s signature dance, these DVDs guides you each step of the way with clear concise instructions. Mastering the steps and technique section will soon make you the centre of attention on the dance floor. If you want to keep up to date with all things Vincent and Flavia, simply fill your email in the form below and hit subscribe! If you would like to unsubscribe from our newsletter, simply follow this link and enter your email address.